Łódź has one of the lowest office vacancy rates in Poland, according to ABSL’s latest data. The research shows that around 60 pct of the demand on the market is being generated by corporations opening service centres, with more than 20,000 people now employed in the BPO/SSC sector in the city. “There is already more than 450,000 sqm of office space in the city and over 75 shared service centres. Łódź has been growing dynamically and has the potential for further growth,” said Łukasz Czajkowski, the head of membership and community at ABSL and the moderator of the ‘Office Dizziness in Services’ panel at the 9th Hotel and Office Investment Conference, in the Rediscover Łódź session. The event is organised by Eurobuild Conferences and the city of Łódź. The companies who have decided to open such branches in the city are aware of this. “We decided to locate in Łódź for two main reasons: the city is developing and growing in terms of the shared services sector and it also has a pool of talented employees. The main challenge now is to effectively manage the development and maintenance of the standard that has been achieved and to encourage more companies to invest in here,” explained Andrea Marciandi, the EMEA shared services director at Whirlpool, at the conference. 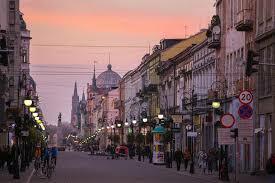 “Łódź has changed significantly over the last ten years. We are currently on an upward trend and the challenge is to maintain it for as long as possible. 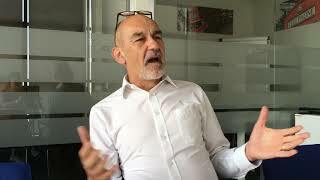 The development trend is manifesting itself in both public and private projects that are unique in scale in terms of the rest of the country, such as revitalisation schemes,” argued Anna Celichowska, a board member and the director of leasing at Virako. “Łódź is unique. It is the most dynamic market in terms of office development and investment outside this field. If we look more closely at what’s happening in Łódź, there is no other city in Poland that could boast such a speed of change in so many fields,” believes Krzysztof Misiak, the head of regional cities in the office agency at Cushman & Wakefield. However, expenditure in the multibillions would be of no use to the city if it did not have adequate human capital. “From our perspective, the people we employ are the greatest asset of Łódź. They create the value for our company. If Łódź is a city where it is possible to live, develop and plan the future, then we can talk about success,” commented Mikołaj Ługowski, the managing director of the Polish branch of Nordea Bank AB. The potential of the city has been noted by a succession of real estate players, for whom it has become somewhere that you have to be present. “We had been monitoring this city for a long time and so we decided to enter in it. This is the first market outside Warsaw we have invested in. And for a good reason. We believe in the huge potential and continuing dynamic growth of this city. We also like the fact that Łódź cares about its heritage. This is something extraordinary and unique,” said Agnieszka Ciupak, a senior leasing manager at HB Reavis. “The pace of the development of Łódź makes it an attractive place to invest, buy land and build. Furthermore, the market is not as saturated with office space as Kraków or Wroclaw, for instance” added Marta Wybrańska, the leasing director of Avestus Real Estate.